Always Wanted To Learn to Ski? 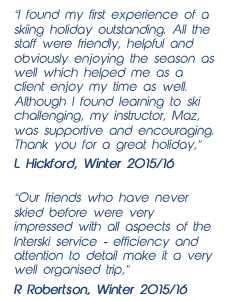 Aimed at complete beginners, our Learn to Ski packages are exactly as they suggest! We've specially created this package to help anyone interested in learning to ski. We understand that if you've never been skiing before, knowing what to book, where to go and which company to travel with can seem pretty daunting. Our Learn to Ski packages are available on every week of the season, in all our three resorts. How Do Learn To Ski Packages Work? A Learn to Ski package with Interski is essentially an upgrade to your existing package. Choose any of our week-long stays with Learn to Ski, and your package is upgraded at a cost of just £125 to include specialist beginner tuition, equipment hire and Ski suit/helmet hire. Learn to Ski packages are available on all week-long stays and we include just about everything you could possible need. Why not book online? 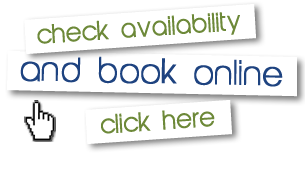 Just search for ski holidays online using our availability checker. Choose your preferred transport option, coach or air, your preferred date and the number of passengers in your group. Then hit the search button and see which hotels we have available. Choose your hotel and then advance through the stages, but make sure you add the 'Learn to Ski' on the additional options section. Alternatively, feel free to give our friendly sales team a call on 01623 456333 and we'd be happy to help find the right break for you.